I was dead set on sticking to my keto diet this birthday so coming up with a birthday cake was going to be a challenge. 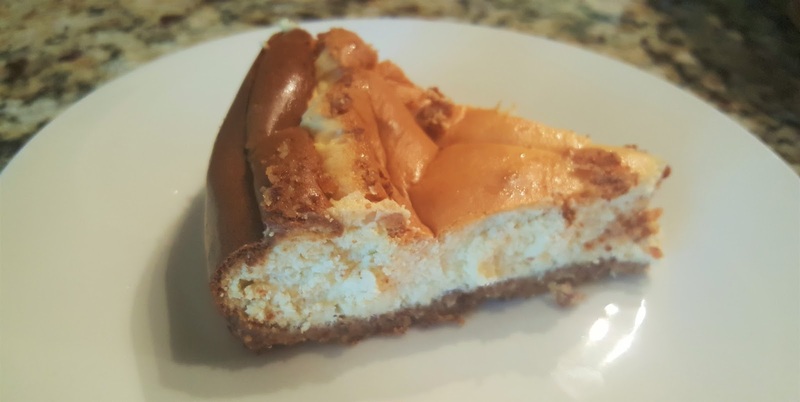 Lucky for me, I like cheesecake and it can easily be made keto-style or low-carb. My husband took it upon himself to make the cheesecake for me and he did an excellent job. I like the Cheesecake Factory's Low-Carb Cheesecake and this tops that, seriously. Crust: Combine the last 3 ingredients for the crust, and press into the bottom of a springform pan. Bake for 8 to 10 minutes, until brown. Cheesecake: Beat cream cheese in a mixing bowl until fluffy. Add remaining ingredients, be sure ingredients are well incorporated. Once all ingredients are combined, pour the mixture into the pan, on top of the crust. Put cheesecake in the oven and turn down to 200 F. Bake 60 - 90 minutes until the cake is firm but center is slightly soft.